MONTGOMERY, Feb. 7, 2017—Alabama’s sixth annual Severe Weather Preparedness Sales Tax Holiday will be held Friday, Feb. 24, through Sunday, Feb. 26. Alabamians are encouraged to stock up on a variety of supplies for protecting their homes or businesses during Alabama’s tornado and hurricane seasons. ADOR has compiled a list of all cities and counties participating in the 2017 Severe Weather Preparedness Tax Holiday. 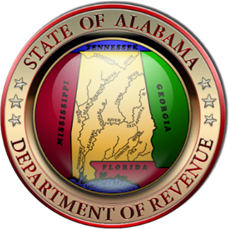 The city and county listing is available at http://revenue.alabama.gov/salestax/WPSalesTaxHol.cfm. The following list contains examples of items covered under the Severe Weather Preparedness holiday. For more information about Alabama’s annual Sales Tax Holiday for Severe Weather Preparedness, visit http://revenue.alabama.gov/salestax/WPSalesTaxHol.cfm.